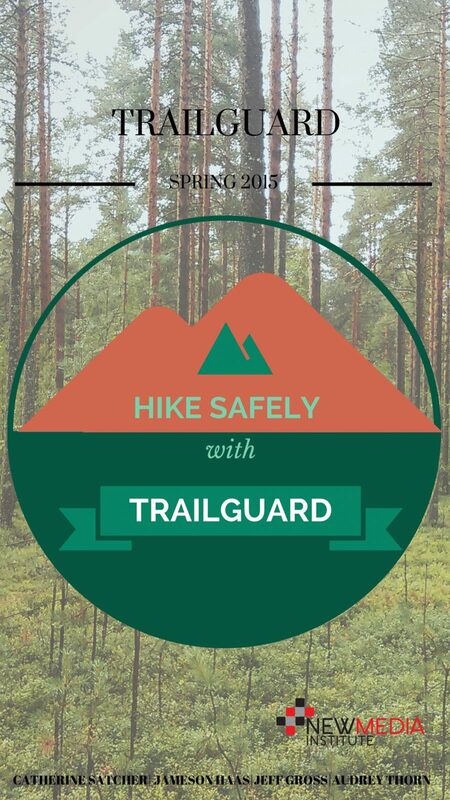 Trail Guard allows hikers to travel with greater peace of mind knowing that their safety is being monitored through an interactive application designed to respond to hikers in need. The search and rescue system gives hikers the option to check in before they begin their hike to ensure their safety and improve their hiking experience. This interactive app was created for avid hikers in possession of a smartphone, seeking to improve their safety in hiking experience. These individuals have a love for the outdoors but value their own safety. While more advanced hikers may use this system to further their endeavors without endangering themselves, beginners may use it to feel more comfortable with little experience. Geolocation checkpoints allow the downloadable, interactive app to map out hikes, store medical information and facilitate drone rescue, if needed.